The arrival of a newborn in a home comes with great parental responsibility and critical decisions. Getting the information, you need beforehand makes life easier once your baby arrives. Urbini travel system and other types of baby travel systems come with an infant car seat and a stroller combo to provide your baby the needed safety during travel. You can use the stroller separately to transport your little one when he or she gets older. Some parents find they make a wrong choice as soon their baby arrives. It is either that they chose a large system or one with a car seat that is not user-friendly. So, when you shop for a baby travel system, you need to consider your lifestyle to ensure you choose a travel system that suits you and your little one. You need to consider your purpose for the stroller and car seat. We have provided in this article guide to help you choose the right choice of a travel system and also reviewed top 8 mum picks of baby travel system to make your shopping easy. ​The sizes of stroller vary widely from small to large. Your choice depends on your purpose of purchase and what your usage intention is. Depending on your need, you may want one with ample storage, cup holders and wipe dispenser. ​If you move about a lot, you may prefer a lightweight stroller over a heavier one. You need to choose a stroller that glides smoothly with a car seat to make safe and secure transportation of your baby from car to stroller possible and for a smooth ride with your baby around the city. While buying a travel system, ensure that the travel system comes with a safe infant car seat to ensure your baby is safe. The Urbini Omni Plus travel system comes with a stroller and car seat combo in four stylish modes. The car seat is a parents delight as a result of its ultralight feature. It is also easy to install in the car and perfectly clicks onto the frame of the stroller. 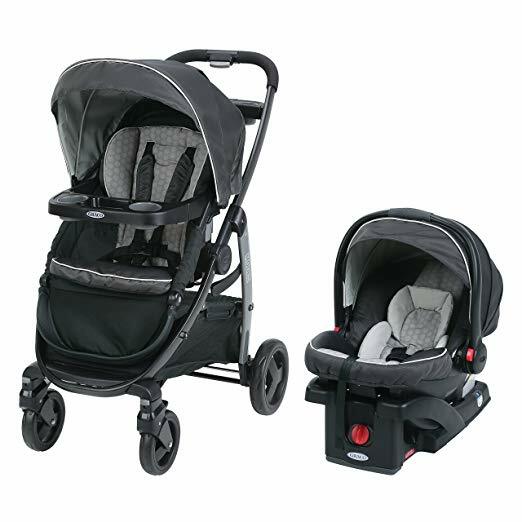 Urbini Omni Plus travel system is excellent for a vigorous exercise or leisure walk. The principal seat of the stroller can recline into multiple positions. So, a complete-seat-recline mode enhances comfortable ride and allows him a snugged-up nap. It is also great for when your baby wants to get a fantastic view in a sit-up position. 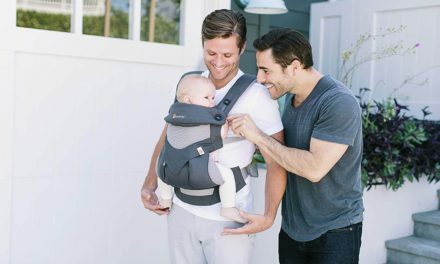 The carriage Parent-facing mode boosts your connection with your baby while the front-facing sitting method helps your baby to easily connect with the outside world when you are on the go. Your child also enjoys optimal security with a travel system that has padded five-point harness for optimal comfort. Besides, you get a large storage basket, liberal canopy for sun shield, modifiable grip, and cup holder. This travel system is a perfect choice for the need of your growing child. 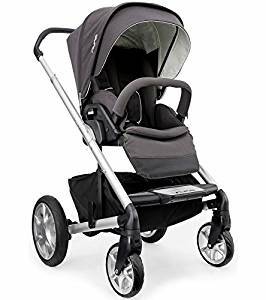 It provides sufficient value for the price and an excellent buy for parents who want a system more comfortable than an umbrella stroller and one which serves multiple purposes as opposed to a jogging stroller. ​Economizes space better than a standard travel system. 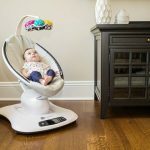 ​Can serve as a bassinet or be used as a regular seat as your child grows. ​The seat easily detaches to make fixing the car seat on the stroller base easy. 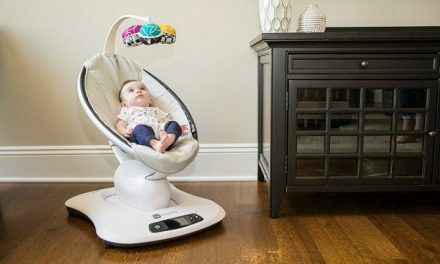 ​Fantastic car seat and base. ​Difficult to manage your child while folding the stroller. ​The cup holder is droopy and had to stay n place. ​Lack of cover on the cup holder which exposes things stored inside. ​Aligning the car seat to the stroller is a bit tasking. Vista is a fantastic and stylish stroller with excellent functionality. It is insanely easy to fold with one hand. The car seat doesn’t require an adapter. The basenet underneath the seat has enormous room for storage. There are nine choices of different colors. With its shock absorbing feature your baby enjoy a comfortable and smooth ride on any terrain. You can expand the stroller and convert it to double stroller or to accommodate your baby and your toddler. The Vista stroller and the Messa car seat system is a travel system of delight. You will love the high-quality materials and its stylish look. Besides, it is also versatile and multifunctional. It can serve for up to triple strollers. It comes with the right amount of top-quality features. The rubber wheels that is filled with foam and the suspension on all the wheels give the system a smooth and comfortable ride. The padding on the seat provides maximum comfort to your baby. It can also be reclined into multiple positions and comes with adaptable 5-point restraint for your child's safety. The large size canopy offers excellent sun protection. The expandable hand grip makes it convenient for both the tall and the short. It is also great to know you can change to multiple sitting positions. Vista is pricey and heavy. However, if it suits your lifestyle and you have no issue with its maneuvering, it is a fantastic choice of stroller. The weight may be a problem getting it in and out of the car and down or up the stairs. Despite its weight, the Vista pushes smoother than the Cruz. If you want only the stroller and another type of car seat, you would need to get an adapter. Uppababy Vista stroller and car seat combo is a significant investment. It grows with your baby and expands to accommodate up to your third child. This way it saves you money in the long run. 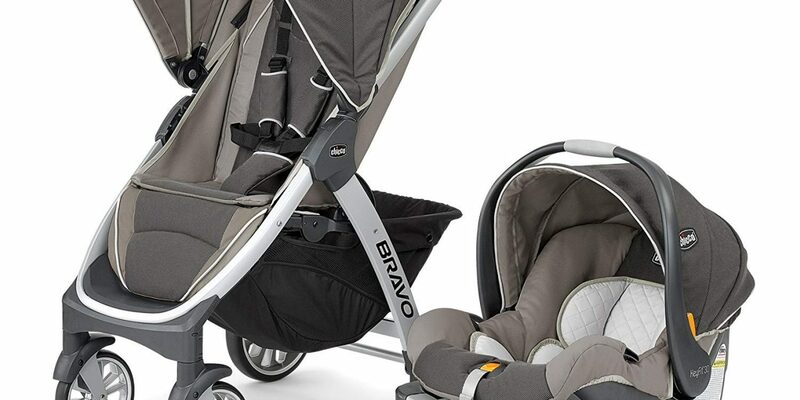 The Chicco Bravo Trio Stroller and car seat stroller combo provide your child with the best possible comfort and safety during a ride. 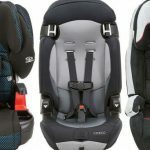 Chicco KeyFit 30 car seat is the safest among baby car seats in the US. It comes with a shock absorber that protects your child against collisions. Give your child a comfortable ride with this travel system combo. Besides, you can easily transfer your child between car and stroller without requiring any additional adapter. It is lightweight, and the pack includes cup holders and one parent tray. It is a convenient travel system with detachable and modifiable canopy, adaptable handlebar. The system also features a one-action brake functionality and ample storage. It has a narrow fit and can easily fit into a small space. The stroller seat is detachable. So, you can quickly snap the car seat on to the toddler seat or the frame for convenience. The seat is also reclinable. All you need is a push of the button. Chicco Bravo wheels are filled with foams to give you a smoother and comfortable ride in the city terrain. However, it doesn’t work well on rough grounds. The wheels suspensions come with shock absorbers to ensure a smooth ride for your baby. This stroller folds into a compact shape for easy storage and occupies less space. You need two hands to steer the stroller. 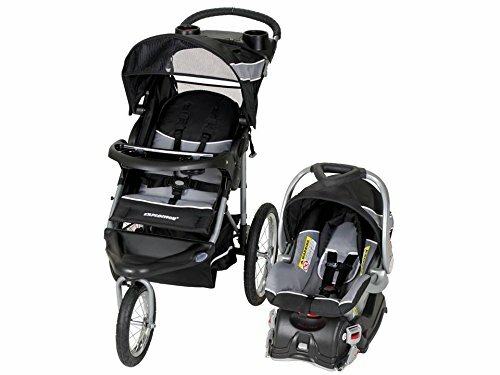 ​Lightweight car seat and stroller combo. ​It is easy and fast to fold and unfold the stroller. ​Ample storage space which includes large basenet, two cup holders and a parent tray. ​Easy to fold for compact storag. ​The fabrics are machine washable. However, you dry them on the line. The medium sized wheel makes the ride comfortable. 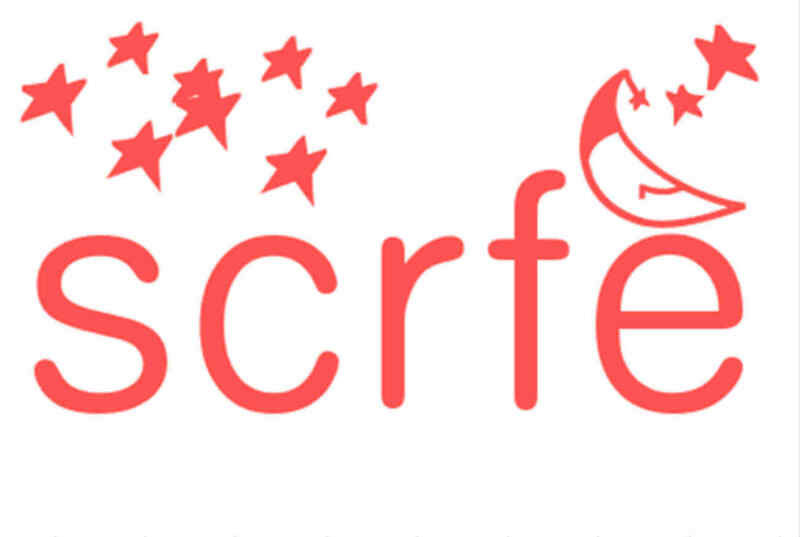 ​The KeyFit car seat is very safe. It gives your child optimal comfort and safety. ​Maneuvering the stroller can be problematic sometimes. ​The wheels make steering difficult especially in dirt roads, but it works fine in city terrain. ​Clicking sound doesn’t always mean that the car seat has snapped securely into place. The Graco Modes Click Connect and snug ride click connect infant car seat combo make an excellent combination of a travel system for your baby. It is a three-in-one system that grows with your child from infancy to toddler stage. You can turn the seat so your child face you or face the world and you can completely recline the stroller to give your baby a comfortable sleeping space. The front swivel wheels lock to make maneuvering easy. The car seat easily locks in and out of the bases. The four wheels design gives it the right balance. The basenet for storage is large-sized. It comes with one cup holder for parents and two for the baby. The versatility and multiple seat position make this a fantastic choice of a travel system. Besides, you can easily fold the stroller with one hand. It is lightweight, and the sun cover provides sufficient sun protection. The car seat is also fantastic and easily clicks into the stroller. You can also use the infant car seat with or without the base. The stroller also offers a smooth ride, and the lightweight nature makes carriage easy. ​Convenient cup holders and large basenet storage. ​Easy maneuverability even with one hand. ​The infant mode features heavy-duty wind protection to keep your child safe. ​Package includes a parent tray. ​The versatility is second to none. ​You can easily adjust the stroller to face either front or back. ​Good value for the price. ​It is difficult to use on the farm grid and muddy roads, the jogger version does better for these conditions. ​It works best for the mall, parks, and sidewalks. ​It is a two hand fold stroller which makes it difficult to do with your baby. ​It doesn’t come with a parent tray or cup holder. ​The infant insert car seat comes with thin padding that’s unsupportive to an older child. 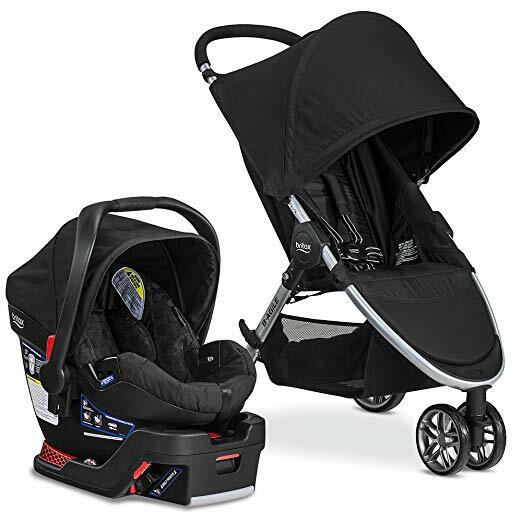 The Britax B-Safe and B-Agile system Travel system is a luxurious combo of stroller and infant car seat. The travel system is on top of safety report and fulfills the entire federal regulations about safety. It comes with the stroller, the car seat and the base. The stroller can support a child from baby up to when the child weighs 55pounds while the car seat can accommodate an optimal weight of 35 pounds. It is produced in the US and comes with a large-sized canopy that ensures your child is safe from the harmful UV rays. In combination with the car seat, the stroller canopy gives your child total cover while it leaves little vents for ventilation and to provide you with a peek to monitor how your child is doing. When your child grows bigger, you can recline the backrest to create a sufficient nap room. It comes handy as well when you want to change a wet or soiled baby. The travel system is lightweight and comes with an easy to fold system and sleek design. The travel system comes with a characteristic three wheel structure even though it has four wheels. The swivel wheels in front are positioned together, so the stroller has the shape of a three-wheeled system. This jogging stroller design of the travel system makes it more stable and easy to manoeuver. ​Car seat features an impact protection mechanism that keeps your baby safe in the event of a collision. ​The steel frame makes the system very sturdy. The characteristic design of the base of the car seat base makes it compress to absorb shock from collisions. 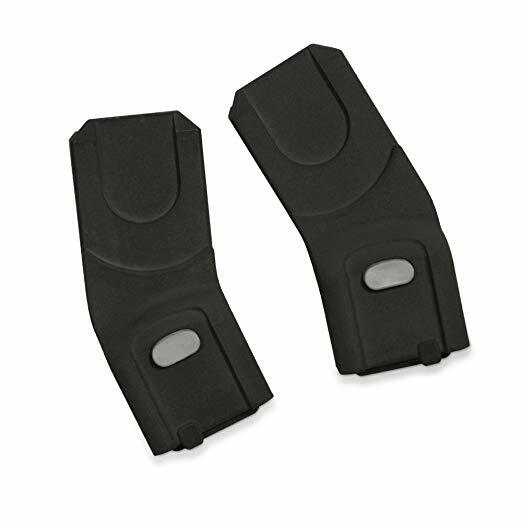 The sides double-impact protection design also helps to absorb shock. ​The shell comes with a deep contour and this assist to stop side sways. ​Lightweight and easy to push around due to the light aluminum frame and the design of the front swivel wheels. ​The five-point harness system enhances safety. You can recline the seat into different positions. ​Large base basket for storage. ​The depth, narrowness and compact shape of the car seat may be unsuitable for bigger babies due to limited space. ​It lacks practical accessories like parent tray and cup holders. You have to buy these separately. ​It's pricey but worth every penny with its perfect, sleek and contemporary design. This travel system is one of the popular brands in the US. It comes with a three-wheel system, infant car seat with a flex lock functionality and a car seat base. The baby trend comes with a lot of features and is suitable for parents who are looking to keep fit. The price is also affordable. The stroller supports a child up to a maximum weight of 50 pounds and height of forty-two inches. The car seat supports a child up to 30 pounds weight. The travel system comes with three big bicycle-wheel design with multiple strokes structure and air tube tires. This design makes it easy for the stroller to work on practically any type of terrain. ​Smooth rides in any terrain ranging from cobbled streets to country trails. It also works well on surfaces with patches of gravel. ​You can easily take off the seat insert and pads and wash. The car seat is easy to install with the lash mechanism. ​The car seat only attaches to the stroller in parents facing position. ​The car seat must not be installed during jogging. You should do jogging when your baby is old enough to use the stroller seat of the stroller independent of the car seat. ​Easy and compact fold for storing away. ​As a jogging stroller, it is large and a bit heavy. However, you can take off the wheel to save space. ​Regular maintenance of tires like air pressure is essential. The tires can occasionally go flat. The Nuna MIXX stroller and car seat combo provide everything your little one needs for traveling safety including strollers, car seat and car seat base. You can easily take off the cover on the stroller seat for washing. The car seat is just one click installation on the stroller. The wheels work perfectly in any terrain. The ability of the seat to face frontward or rearward improves the child's convenience and connections. The MIXX basinet means your baby can sleep undisturbed and makes a convenient storage space for parents. The unique multiple mode designs of the stroller allow both your infant child and toddler to ride comfortably and smooth while at the same time exploring their surroundings or enjoying a super connection with mom or dad. The PIPA car seat is lightweight and stylish mini accommodation for your child's safety when on the go. It comes with an aluminum handle and five-point harness system that improves your child's safety. The PIPA car seat base can work in multiple positions, and the right lock features make installation fast and easy. The steel stability leg easily folds beneath for storage. The quick release buttons enhance the ease of transferring your baby from car to stroller. The ring-shaped adapter in the 2019 version makes installation of car seat more comfortable with one hand. You drop the car seat on top of the adapter for a firm click. All you need is lower the car seat on top of the adapter, and it will click immediately. To disassemble, press the big button on the back of the car seat. The 2019 model comes with a detachable seat fabric, a mesh backup for warm weather and bamboo to wick sweat away and make your baby optimally comfortable. A contemporary herringbone design gives it an improved texture and style. The Uppababy Cruz and Maxi Cosi car seat combo are lightweight and reasonably priced. The padding and seat are simple to take off and wash. It has enough room for storage at the base of the seat. The reversible seat means your baby can face you for a deeper connection or face front to connect with the outside world. Folding up the stroller is very easy, and it goes very flat and compact even with the seat intact. You can also easily unfold the stroller. The grip bar can be adjusted to suit parents size. Thus, it is suitable for both short and tall parents. You can quickly move the stroller with one hand due to its ultralightweight design. The system converts into multiple strollers, making it a perfect choice for parents that have a large family or looking to have more than one babies. There is another version that doesn’t convert to multiple strollers and this is a good option if you require it for one child. The alternative version is cheaper too. The Uppababy Cruz is a fantastic and stylish stroller with great functionality. 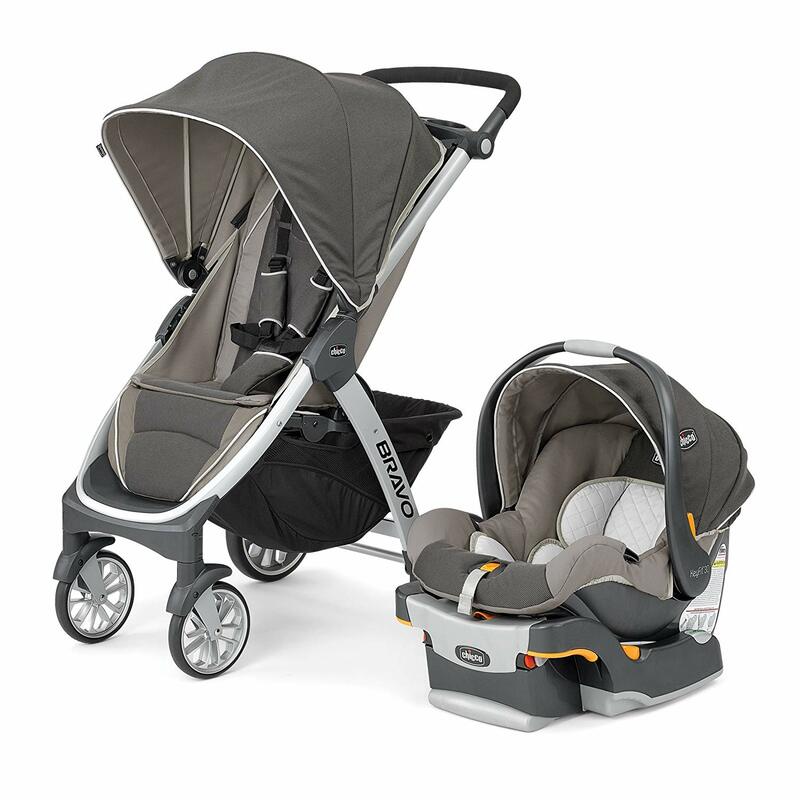 The Uppababy strollers and Maxi Cosi car seat make a perfect combination. You can also pair the UPPAbaby Cruz Stroller with Mesa Car Seat to get excellent functionality. Either of these combos gives you a smooth ride, while at the same time making your travel with your child convenient and safe. The stroller comes with a big base basket. The multiple reclining positions mean you can completely relax the stroller to give your baby sufficient room for a nap while on the go. The Large canopy provides adequate sun and rain protection for your baby. It as well comes with a bug net to ensure your child is safe. If you are using the mesa car seat, all you need to do is click the seat unto the Cruz frame. You don’t require a supplementary adapter. The Mesa Infant Car Seat snaps easily and locks to stay in place. It is thus suitable for infant child as well as a toddler till the child weighs 50 lbs if you are using the Uppababy Cruz with Maxi-Cosi infant car seat, you'll need to purchase a suitable adapter. The UPPAbaby CRUZ stroller can work correctly with all Uppababy infant car seat. It as well works with other car seat brand. This makes it a versatile stroller that allows a parent to go with the combination of the Uppababy stroller and car seat of choice. Apart from the UPPAbaby MESA that clicks straight unto the frame, you need to buy a suitable adapter for other compatible car seats. These include Chicco KeyFit and KeyFit30, Cybex Aton, Maxi-Cosi, Nuna PIPA, Peg-Perego, Primo Viaggio and more. When looking for your child’s transport system, your child safety should be the top priority. You, therefore, need to get a car seat and stroller combo that ensures your child’s safety keeps him comfortable and which is within your budget. It is best to choose a car seat first and then stroller because the car seat ensures your child’s safety while the stroller is just for convenient movement. Selecting a travel system that comes with a car seat that fits properly into the car and which you can install and dissemble fast should be your target. Also, ensure that the system comes with a 5-point harness car seat for improved safety. 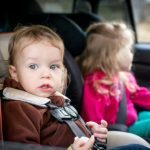 Although car seats keep your child secure during travel, you should only use it for that purpose and for a period not longer than one hour at a stretch to avoid your child developing flat spots on the head. This new model comes with a car seat that is completely attached to a stroller frame. The frame folds beneath the seat, for installation on a vehicle base during car trips. This is an ultralight frame that comes independent of a seat and either accepts specific brand or brands of an infant car seat. They allow parents to take the children out walking while the baby stays in the car seat. Double strollers are great when you have twins or two kids below the age of four. It comes in either side-by-side or tandem design. The side-by-side strollers have two seats connected to one frame. They look like two strollers held together with a bolt. They are best when you are pushing children of roughly equal weight and height like twins. Tandem strollers are designed with by placing one seat straight after the other. The breadth is same one passenger strollers. Thus they fit easily through entrances and store walkway. Some tandems seats allow face to face sitting posture. Jogging strollers comes with three wheels, a handbrake, a foot parking brake, and big air-filled tires. Recent models feature swivel front wheel that makes it ride smoothly on rough terrains. They have extended and high grip bar to prevent you from bumping into the frame as you jog. You can also choose a combination of stroller and car seat for your baby if you can’t find a ready-made combo you like. To use this, you may likely need to purchase a suitable adapter. Are you going to be using the system mainly for the city voyage, then a sturdy, lightweight and compact stroller you can easily fold and unfold would be your best choice. You may use t a car seat carrier frame or a lightweight travel system. If your child can sit from 6 months to toddler stage, you may require a lightweight umbrella stroller. By all means, ensure you buy a certified brand of an infant travel system. It must fulfill the federal safety standard in the US and carry the logo that shows it has the certification of the Juvenile Products Manufacturers Association (JPMA). ​Whether you can easily adjust the backrest, and how easy the harness fastens. ​How large the storage space if you are concerned about space. 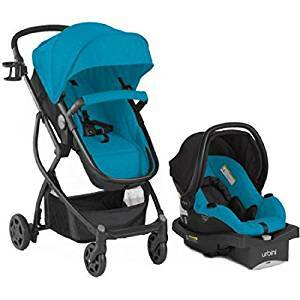 We have provided you with essential factors you need to consider when you shop for infant travel system and has also provided you with 8 top mums recommendation. 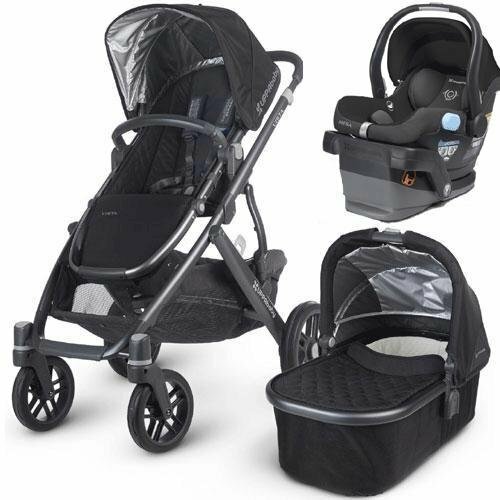 These strollers and car seat combo are fantastic choices to ensure your baby's safety while on the move. ​However, we have chosen the Urbini Omni travel system as the best overall infant travel system because it comes with all the features that ensure that your baby is safe during travel, while not limiting your options regarding seating positions. The seat also reclines making the ride more pleasurable relaxing and comfortable for your child. Whatever choice you decide to go for, remember your child's safety should be your top priority over style and design. Let's know how it all goes! 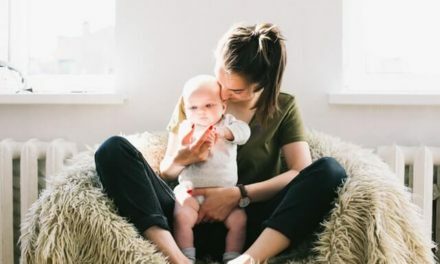 Owlet Vs Snuza: Which is Superior for Checking Your Baby Vitals?